Kitchen Design Academy: We started from here! •The development of the kitchen has been intricately and intrinsically linked with the development of the cooking range or stove. Until the 18th century, open fire was the sole means of heating food, and the architecture of the kitchen reflected this. 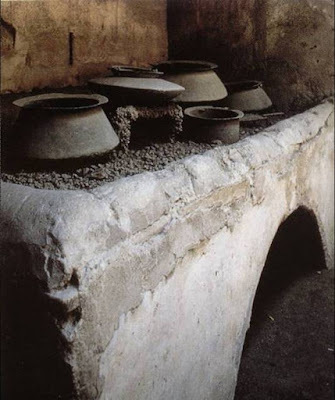 When technical advances brought new ways to heat food in the 18th and 19th centuries, architects took advantage of newly-gained flexibility to bring fundamental changes to the kitchen. Water on tap only became gradually available during industrialization; before, water had to be collected from the nearest well and heated in the kitchen.